"They [i.e. 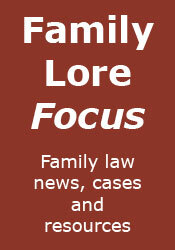 the authors] would be delighted if you decided to review it in Family Lore." They said. Well actually, I will not be reviewing it. Because I don't need to. 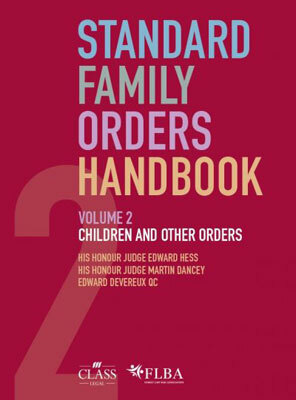 The reason for that is quite simply that I have already not reviewed the Standard Family Orders Handbook, Volume 1, covering Financial and Enforcement orders and, apart from the fact that Volume 2 covers children and other orders (a fact that I'm sure you will already have gathered), everything you need to know about Volume 2 is in that earlier non-review, which you can find here. I need say nothing more because if you are a family law practitioner you will already be aware that you simply have to have this volume, nestling next to its companion, on your bookshelf. The Handbook can be purchased from Class Legal, here. Note that pre-orders are only £45.